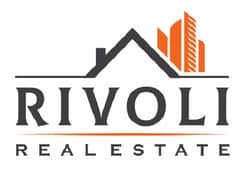 Rivoli Real Estate proudly presents this partitioned office for Rent in Burlington Tower, Business Bay. Dubai Mall situated at the Down Town Dubai is just 1. 53 kilometers from the area. Dubai Mall provides an excellent paradise for shopping as well as entertainment. It offers a wide variety and taste of food along with the amusement facilities. It is the shoppers hotspot that features 1200 retail outlets, two departmental stores, and around 150 food and drink outlet. A state-of-the-art Business Centre facility that can be fully leveraged for every business opportunity. The Burlington is a newly opened commercial building located in the prime area of Business Bay, a Commercial Hub District of Dubai and one of the most desirable business communities in the world It is an ideal place for you to either establish your company or purchase office space in this high rise commercial tower. They also enjoy great connectivity from there to almost all part of the city as it is located on one of the busiest roads in Dubai that is Sheikh Zayed Road. It has good underground train connectivity also taxis are readily available at any time. Besides these, the resident apartments do have the usual facilities like Swimming Pool, Gym, Steam, and Sauna. The business or the commercial apartments too have some facilities like conference rooms and cafeteria. Dubai Mall provides an excellent paradise for shopping as well as entertainment. It offers a wide variety and taste of food along with the amusement facilities. It is the shoppers hotspot that features 1200 retail outlets, two departmental stores, and around 150 food and drink outlet. A state-of-the-art Business Centre facility that can be fully leveraged for every business opportunity. The properties in Business Bay witness great architect and majestic landscape gardens, enormous shopping malls which offers many facilities to the residents and the business people staying there. Few of the amusement parks are also listed nearby to Business Bay such as Al Khazzan Park which is family entertainment park just about 2 kilometers from the area also Jumeirah Beach Park is just about 3. 16 kilometers from it. Residents and the visitors of Business Bay can have easy access to some of the best Shopping Malls and Amusement Parks.